We admit that we could spend hours on end searching for the perfect vacation, inspired by our favorite childhood storybooks. We’re constantly daydreaming about cozy cottages in the woods with dreamy English-style thatched roofs or elegant castles of yesteryear overlooking medieval villages. To bring the magic of storytelling to your next vacation, we’ve compiled our absolute favorite destinations that will surely make your own life—what else, but a fairy-tale, of course. Truth be told, “Sleeping Beauty” is at the top of our “all-time favorite Disney movies” list. And we’ll let you in on a little secret. 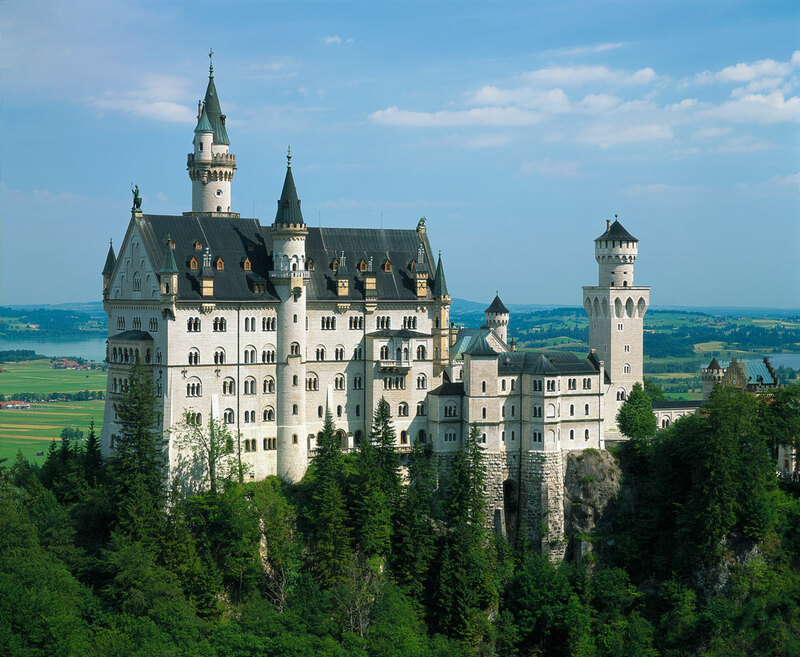 Neuschwanstein Castle, in southwest Bavaria in Germany, was the actual real-life inspiration for the movie. The palace lies on a hill (of course it does) overlooking the village of Hohenschwangau. Some of us from the big city may be looking for an escape. Specifically, a small, provincial town (sorry, Belle). Take the little town of Colmar, France. Now we’ll never know if the sweet town was the inspiration for “Beauty and the Beast.” But this quiet place has all of the necessities—cobblestone streets, quaint shops, and even a fountain in the center of town. Ireland’s Dark Hedges seem as if they come right out of a storybook. Near the village of Armoy, along Bregagh Road, you’ll find trees that bend, curve, and intertwine perfectly—they were once owned by the Stuart family. They planted the trees in the 18th century in order to “dress up” the path leading up to their manor. To add a dose of glamour to your own story, head to St. Moritz, Switzerland. A glamorous destination with small-town charm, it’s both the perfect getaway for skiing (with tons of Alpine charm) and just as great a summer destination (with plenty of hiking opportunities). For the Disney movie “Up,” Angel Falls in Venezuela was the real-life inspiration for the film. The waterfall spills from the Auyán-tepui mountain and was named after Jimmy Angel, a U.S. aviator who was the first known person to fly over the site. The Cotswolds are quintessentially English—just about an hour and a half from London’s Paddington station—and simply scream “storybook charm.” You’ll find lavender fields, idyllic walking paths, and Broadway Tower (near the village of Broadway in the English county of Worcestershire) built for Lady Coventry in 1798–99, a gift from her husband. In true storybook fashion, we’re always on the hunt for the perfect “hobbit houses” that look as if they could be in a Brothers Grimm movie. We have a slight obsession with fairy-tale abodes, from Marie Antoinette’s Hamlet to cabins with the best English-style thatched roofs. Now if only we could build one an hour and a half from our home!